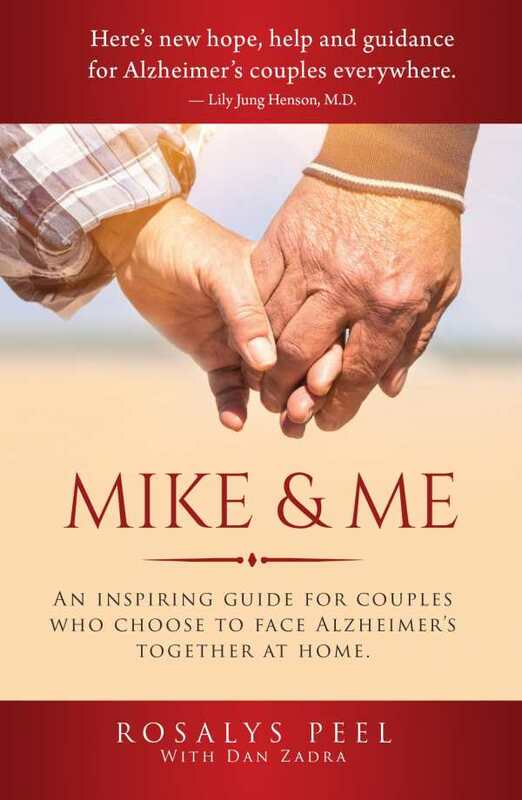 An Inspiring Guide for Couples Who Choose to Face Alzheimer's Together at Home. This book changes everything for Alzheimer's couples & caregivers. When her husband Mike was diagnosed with Alzheimer's, Rosalys Peel made a deal with him. Together, they vowed to manage Alzheimer's in their own home and go right on living life as normally as possible. Over the next 10 years they found new ways to defy and surpass virtually all typical Alzheimer's statistics. Through it all, Rosalys kept a journal of their discoveries. The result is her vital guide for Alzheimer's couples.